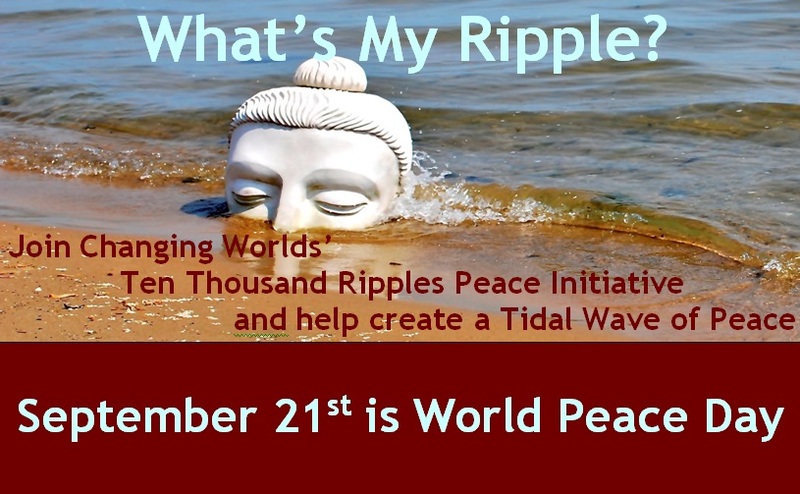 Ten Thousand Ripples is a partnership between Changing Worlds, the lead arts organization and artist Indira Johnson, along with a consortium of local community, social service, educational and cultural organizations. What’s My Ripple? 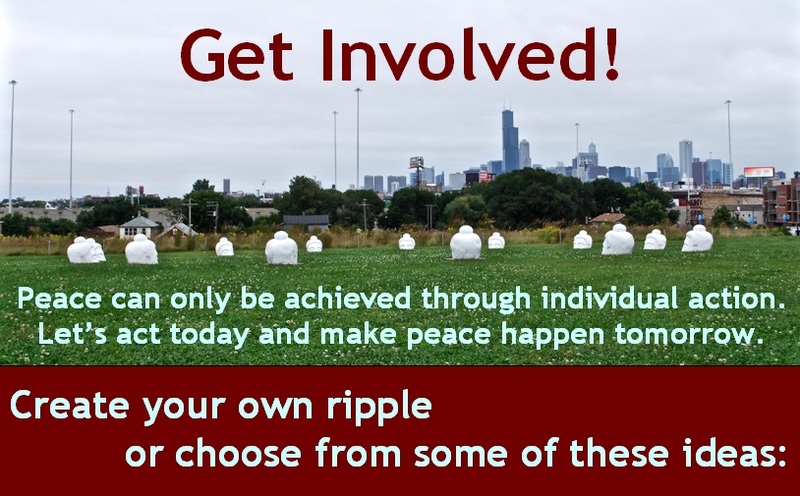 is a continuation of the Ten Thousand Ripples Public Art, Peace and Community Engagement Initiative. TTR began in 2012 building partnerships with strong community-based organizations in each of the nine participating Chicago area communities. As community partnerships were solidified, TTR transitioned from centralized planning to community-based planning and engagement. Participating communities include Albany Park, Rogers Park, South Chicago, North Lawndale, Pilsen, Back of the Yards, Little Village, Uptown and Evanston. 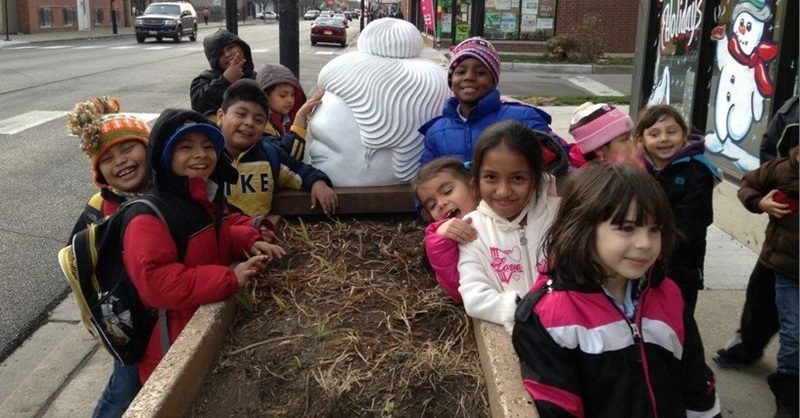 In 2014 TTR began a partnership with the Chicago Park District with installations on the Lake Shore by Diversey, Palmisano Park in Bridgeport and a soon to be one in Jackson Park. Communities used the TTR emerging Buddha image as a creative catalyst to bring people together to engage in conversations about contemporary social issues, promote peace, ignite new ideas for artistic and community programming, and coalesce entities that would not have otherwise come together. Throughout the city the emerging Buddha sculptures were welcomed, hugged, interacted with, ignored, debated, occasionally graffitied, offered gifts and protected. Ultimately, they provoked questions, introspection, and conversation at a community level. Add to our ripple effect by exploring the ways you can spread peace in your neighborhood, increase access to the arts, or become a community agent of change. Check out the activities in the TTR Companion Guide. Changing Worlds is a not for profit arts educational organization whose mission is to foster inclusive communities through oral history, writing and art programs that improve student learning, affirm identity and enhance cross-cultural understanding. For more information, contact info@changingworlds.org. Indira Freitas Johnson is an award winning artist whose work has been widely exhibited nationally and internationally.